I don’t use the word impossible. At Kirchner Group we work on innovative solutions like our recent advising on due diligence to one of the largest ever Series A fundings for a biotech startup. We like to believe anything is possible. We push ourselves to do what others consider the unthinkable. As I mentioned in a previous article – performance is an area we consider inherent in our Business Brain Model principles. Performance is particularly (at least initially) visible in the arena of world-class athletes where the one thing that separates 1st place from 2nd place is who has the best mental performance. You’ve heard of the “impossible” 4-minute mile right? Until Roger Bannister broke the barrier (3 minutes 59.4 seconds to be exact) on May 6, 1954, it was unthinkable that a human could run a mile in under 4 minutes (wish those people could see Usain Bolt, the fastest man in the world, today!). But do you know how long Bannister was the only sub-4-minute miler in the world? 46 days. That’s right – not even two months! Once Bannister tore down the mental barrier, that everyone accepted as a given, the sub-4-minute mile became an attainable goal in everyone’s mind. Not long ago I met Dr. Tonya Hoffman – a pioneer in the area of performance coaching. She has great anecdotes about what business people can learn from athletes. We have connected across several aspects of the Kirchner Group’s Business Brain Model and I encourage you to get to know her work. 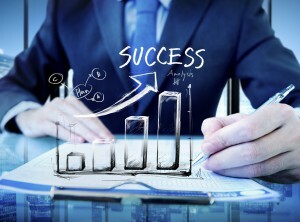 Like me, she sees business performance as a combination of outside influences that go well beyond having an MBA. She believes in the science of the mind and how the mixture of economics, psychology and biology affect thinking and in turn, performance. Her Leading Minds team excels at delivering peak performance strategies and you can learn more about her work at http://LeadingMindsUK.com. Given I see performance as one of the better served (in addition to neuromarketing and behavioral economics) areas of interest I want to point you to additional people at the forefront. I must also say, while the below list is mine, the quotes come from descriptive Amazon reviews that I have confirmed reflect my personal views well. 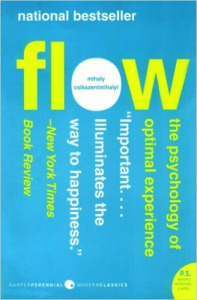 Csikszentmihalyi looks at what really satisfies us and puts us in “a state of consciousness called flow.” In this book, he looks at how we can control this state of being. This book looks at a decade’s worth of research to better understand peak performance. The review says he builds “a bridge between the extreme and the mainstream” and I agree. “GRIT: The New Science of What it Takes to Persevere, Flourish, Succeed” by Paul G. Stoltz, Ph.D. So this is the guy who developed the Adversity Quotient. He explains why GRIT wins “over any other factor, including grit.” GRIT for the record is Growth, Resilience, Instinct and Tenacity. Now this book looks at managing time and managing budgets, rich and poor, plus, temptation. It talks about going astray but also touches on the answers to get back on track. 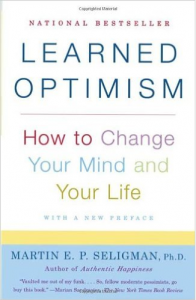 This book confirms the “information age is drowning us….” But instead of telling you how to overcome this, he talks about best practices in managing all that is going on without losing your mind or your keys (admit it, you’ve lost yours at some point too). There are (typically) some eclectic areas of interest in these recommendations (cognitive prosthetics as a performance tool?) but like a great theatrical play, many characters complement and reinforce the others. And like any play, it gets better with each performance. You know what I like best about that quote? It is not about practice – it is about performance.